Bradley began his career working with Gary Rhodes. Following this Bradley worked at Dinner with Heston Blumenthal before joining head chef Ashley Palmer-Watts’ team at The Mandarin Oriental Hyde Park. 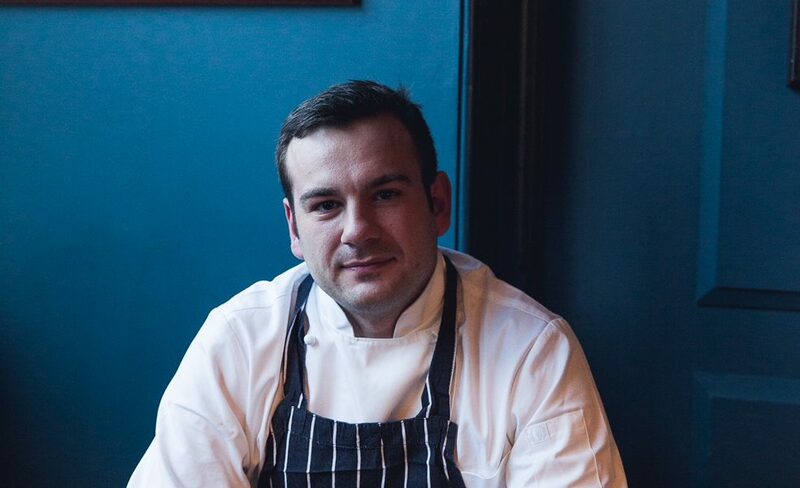 In 2012 Bradley moved over to Launceston Place working alongside head chef Tim Allen. After three and a half years, four AA Rosette’s and a Michelin star later, Bradley was appointed head chef at The Chancery. Since then he worked at the Princess Victoria with Simon Brencher and the Wild Rabbit in Kingham. Bradley will be heading up the brigade at The Greyfriar on Monday 19th February to offer diners a 5-course meal. Early booking for our guest chef nights is essential as we have a limited number of tables. Cost per head for 5 courses is £50 plus an optional wine flight at £25.